That’s right, these images need no dialogue. They fall right into the WTF Gallery I’ll be opening featuring strange photos rational people don’t want to think about. That doggie wheel-chair thingy is gettin' common-place! WTF? 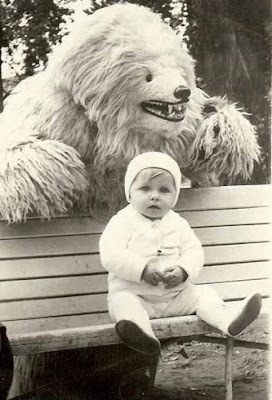 And that bear thing loomin' over the tyke o nth' bench~~WTF? Kinda reminds me of something I saw on Soupy Sales once ( cousin of White Fang? ) or the new Bimbo Bread Co. mascot??? Makes me glad we didna hae digi-cams back then. I burned all the pics ;) Now if I could just get those negatives back...! Goodness, gracious, great flaming balls of fire, VE! 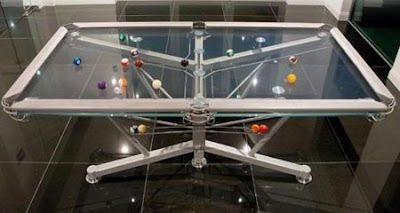 Where do you find these things? I know, I know... it's really you in the pictures. Subby beat me ti the shot of the dog; those things are seen out and about more often these days. 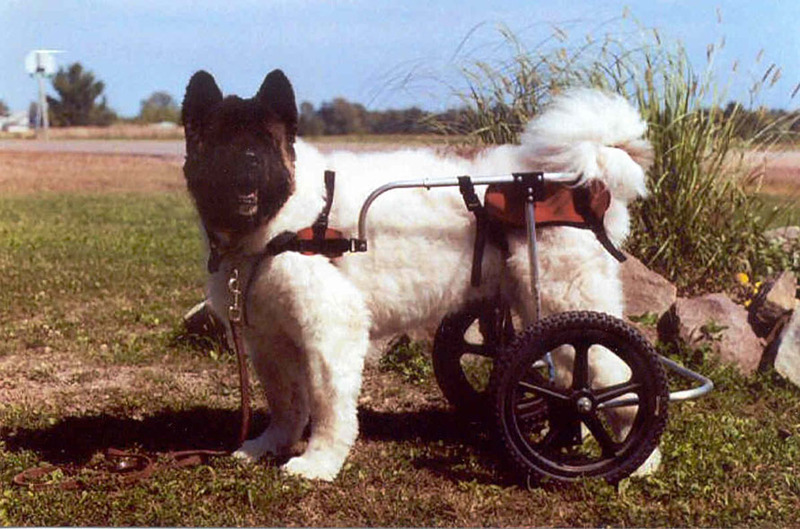 They make them for dogs with arthritis in the hindquarters, which seems to be getting more and more common in older dogs. Yeah all are WTF except the doggy walker, I personally think its about time they figure out something for our k-9 friends. Im waiting for something like that for the furry four legged friends called cats! Course I suppose there already is something we just havent seen a picture of it yet. 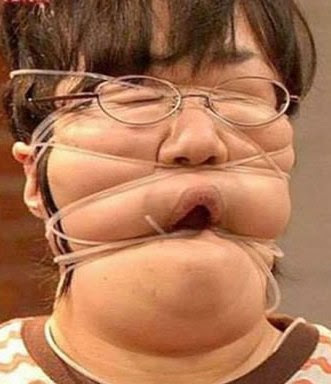 As for the boy all strung up.....yeah for me thats nothing new either my grandsons do the stupidest things! 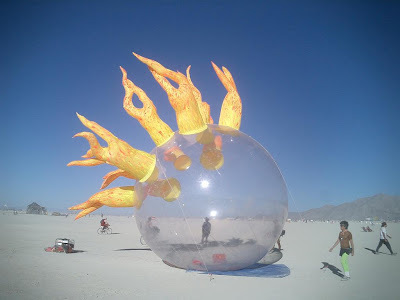 The flaming ball has to be from Burning Man. You could do an entire segment called Burning Man WTF. mrsupole - Thanks for adding to my "ewwww" collection! I've been LOOKING for a slightly used rubber fist with minimal stains. How many slightly used rubber fists does a man need, I wonder? How many baseballs are in the rub? Is that a see through pool table? That's kinda cool. 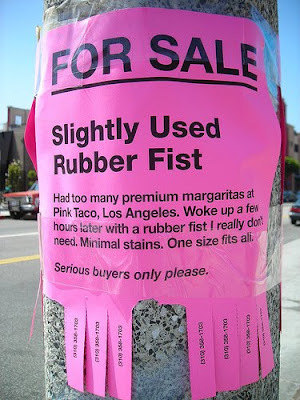 the rubber fist ad made me wince in horror. ....and I thought security stole that rubber fist from my luggage at LAX. Guess I just "misplaced" it. Lime – As it should! Baino – Do you think the Japanese bought the rubber fist then? Tom – I think that’s the shortest comment ever! Congrats! things never change with you, do they? Yeah....those (except the doggy walker) most certainly top the WTF?? category. nursemyra - It's not going to be happy! You're right...WTF? But even moreso WTF (where, not what) did you find the pics in the first place?